Just been trying to get more things made that I sold a lot of at the last craft show. 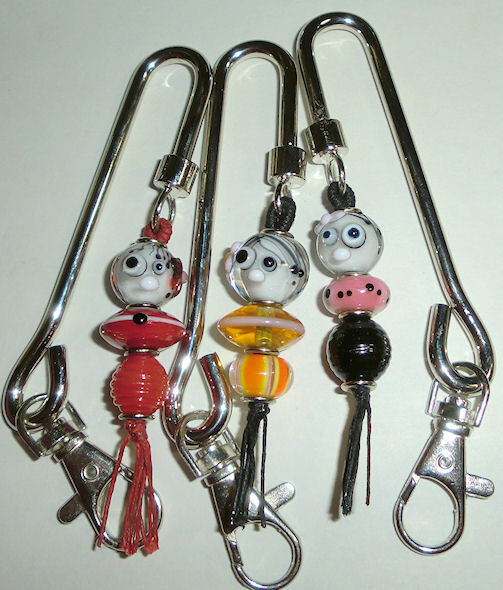 There are more cell phone/zipper pull charms or key chains and key finders. These goth girls are new beads. I kind of like making them. Their hair can go any which way. 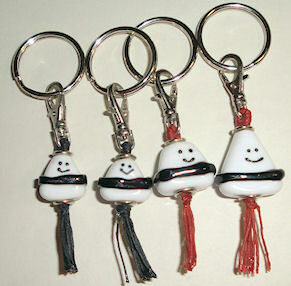 More rice ball charms. They always sell out.